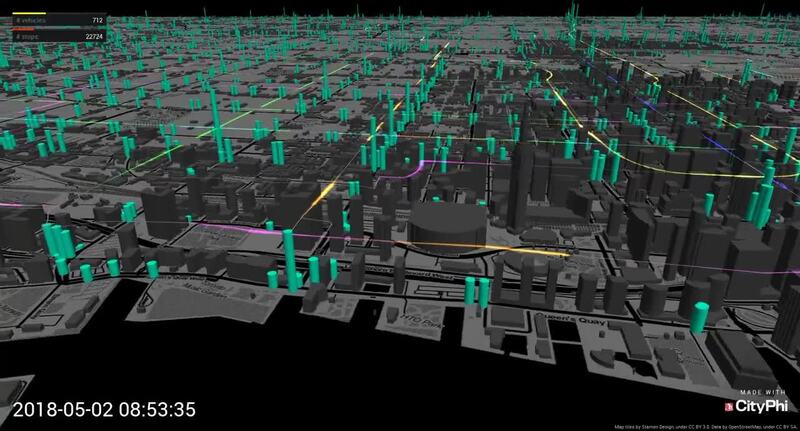 CityPhi 1.6 (released November 27, 2018) introduces built-in production quality video recording and keyframe animation, new visual treatments and layers, a new thematic coloring system, GTFS import capability, support for custom web basemaps, performance improvements and other CityPhi Studio UI improvements. Please consult the Release Notes included in the software for comprehensive list. CityPhi 1.6 is a recommended update for all users. Users with software maintenance may log in and download CityPhi 1.6 from their INRO account here. Easily import, animate and query transit services from General Transit Feed Specifications. 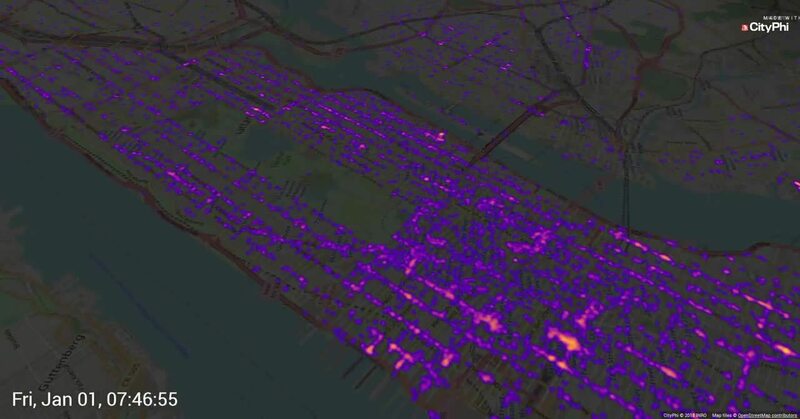 A new Animated Heatmap layer is ideal for showcasing time-varying point or trajectory data. Clicking on a feature in the scene will display a data card with information about that feature. The attributes included in the data card can be configured on a per-layer basis. And lots more! Please refer to the software Release Notes for full details. And let us know with feedback on the INRO Community Forums!